When other people are reading interesting articles on line, or saving recipes, or "pinning" their favorite decorating pictures on Pinterest, I'm reading reviews on Tripadvisor, dreaming of a little inn overlooking the Mediterranean. Everyone has different criteria for rating a hotel 5 stars. I want a convenient location, good coffee, and free wifi in addition to a comfortable bed and a spotless room. (A view of the Eiffel Tower doesn't hurt, either.) If, as a bonus, the shower has great water pressure, I'm in heaven! I'm very spoiled when it comes to water pressure. The heavy stream that comes out of my shower is wonderful. But it hasn't always been that way. My bathroom is the furthest from the water source, and my water pressure was so bad I could barely rinse all of the shampoo out of my hair. My friend Carl came up with the solution. Carl was poking around a flea market in South Florida one day a few years ago, and he came upon a booth that was selling white, plastic shower heads, supposedly "made in Italy." They claimed that these shower heads would make a huge difference in water pressure. The price of the shower head was less than ten dollars, so Carl was very skeptical. How could such an inexpensive plastic shower head be better than an expensive one? Carl decided to buy one. 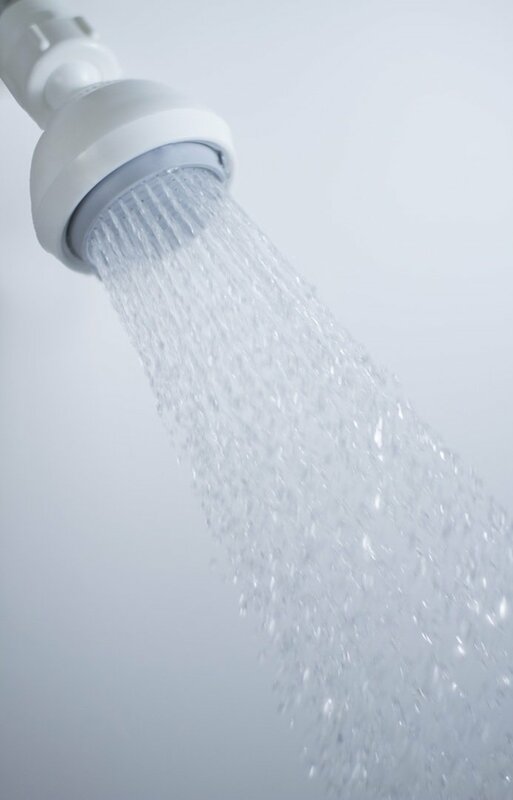 He took it home, replaced his old chrome shower head with the white plastic one, and turned on the water. He couldn't believe it was even the same shower! Carl went back to the flea market to buy more shower heads. He gave one to his daughter Ellie. Her New York apartment had terrible pressure. Sure enough, the new shower head worked it's magic, gushing water where there used to be a trickle. When I visited Ellie in New York, I experienced the water pressure in Ellie's apartment. It was the best shower I had ever taken. I wasn't about to go looking for the South Florida flea market where Carl bought the shower head, so I did my research. Carl told me the brand is called Siroflex. 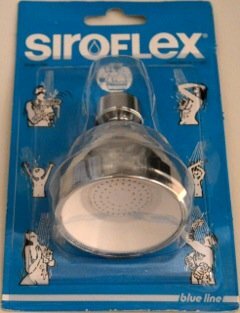 There were a few places on line that carried Siroflex Shower Heads, but there were also many complaints about the sellers. I was beginning to think whoever was selling these magical shower heads must be really shady. Finally, I found a company on line, located in Arizona, that not only carried Siroflex shower heads, but all kinds of other products, too. The name of the company is NEAT Items, or neatitems.com. Neatitems.com has many types and brands of high pressure shower heads, but I wanted the shower head that Carl bought. When I clicked on the Siroflex page I couldn't believe the price! $7.95 for one, or $12.95 for two!! Click here to see for yourself, Siroflex Shower Heads. The folks at neatitems.com are almost as great as their shower heads. Their website makes ordering very easy and my order was placed immediately. I received the shower heads in just a couple of days. Isn't this a fabulous nugget?! I must admit that I not only bought Siroflex Shower Heads for every bathroom in our house, but I also bought them for gifts. Everyone loves having great water pressure! Plus, they are very easy to install with your bare hand and do not require any tools. I have read that some people actually take their Siroflex with them when they travel, just in case they are in a hotel with bad pressure. They unscrew the hotel shower head and easily screw in the Siroflex. Aww, great water pressure and a view of the Mediterranean.......and I'll take my espresso in my room, per favore! I too, echo your sentiments on this great shower head and am currently the most helpful review on Amazon on the Siroflex. I want to tell everyone what an amazing shower that can be had for under 9 bucks. Agree with you about Neatitems too...stay away fron the other vendor. I haven't opened this one yet as it's going into my remodeled bathroom however I know it's going to be the best as I have 2 other showers that I use the siroflex in. If you love a great shower (as I do) I highly recommend this shower head. My sister in law once stated when she used my shower "I feel like I've been power washed".